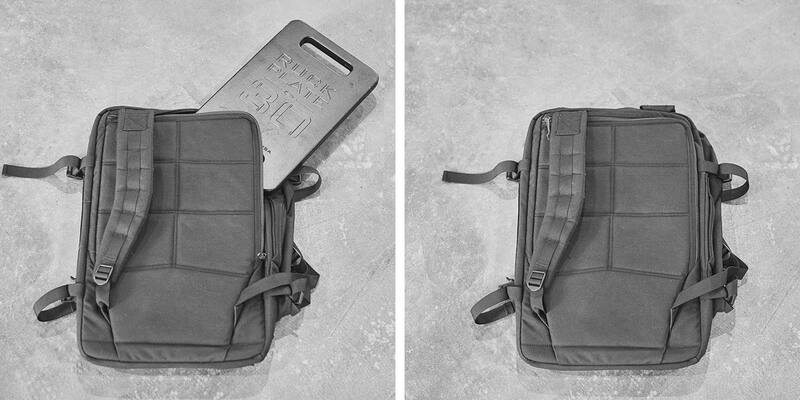 A travel ruck that would thrive in Baghdad, NYC, and the mountains of Afghanistan. Or any mountains for that matter. It’s big and tough and when you get there, make the most of it. 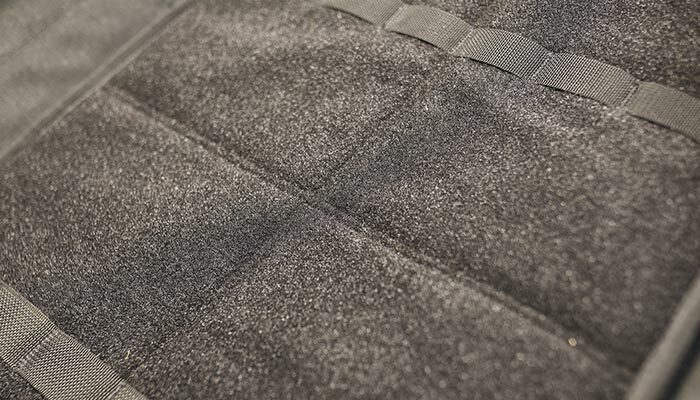 The Bottom Molle webbing on the GR3® integrates with the Compression Tough Bag to store sleeping bags or dirty clothes and shoes. 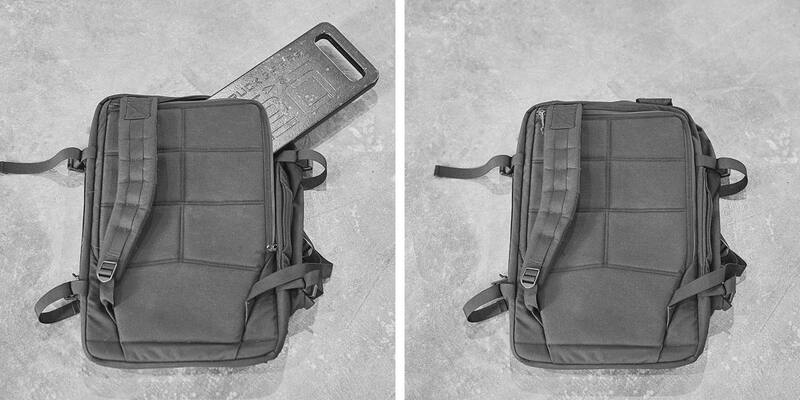 Extra padded, perfect for carrying through the airport or for any heavy load. 3 interior pockets: 2 large mesh zippered pockets and one small go-to zippered pocket. 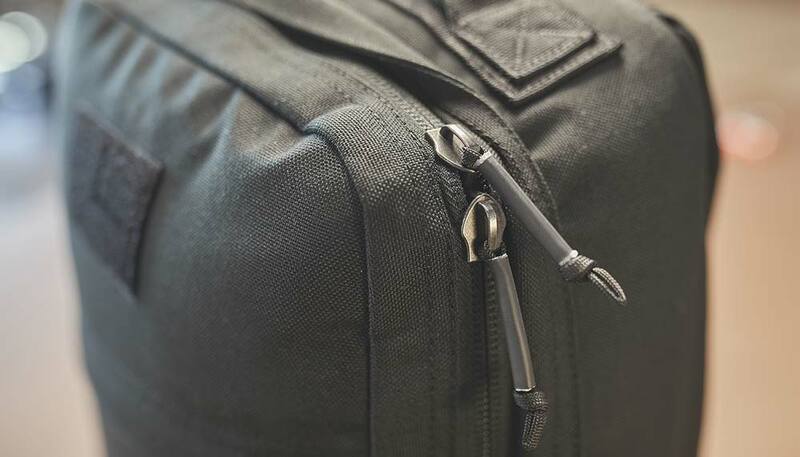 External slant pocket provides quick access to keys, snacks, and other small items. 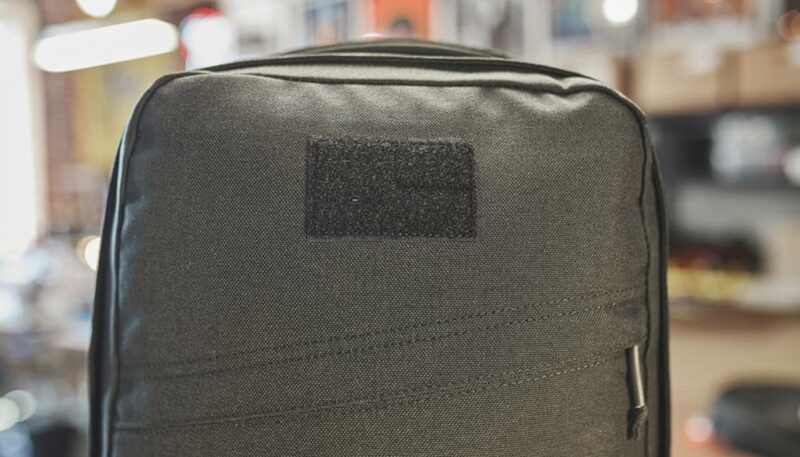 Allows you to customize your GR3® with the patch of your choice. 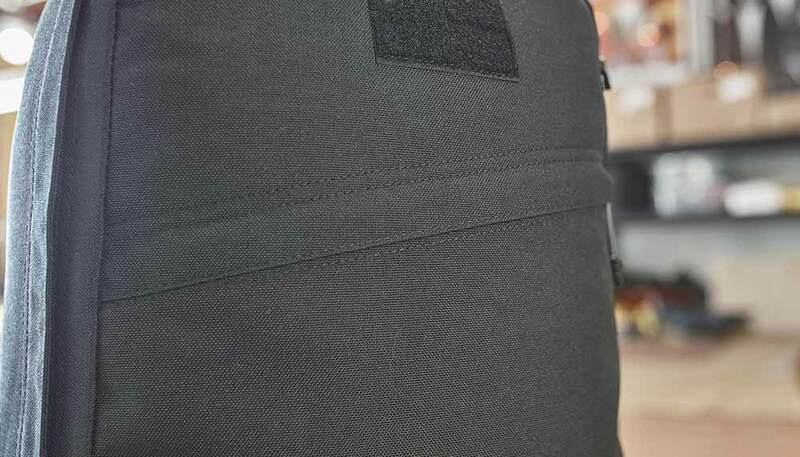 Hip belt helps spread the load across your hips when rucking. 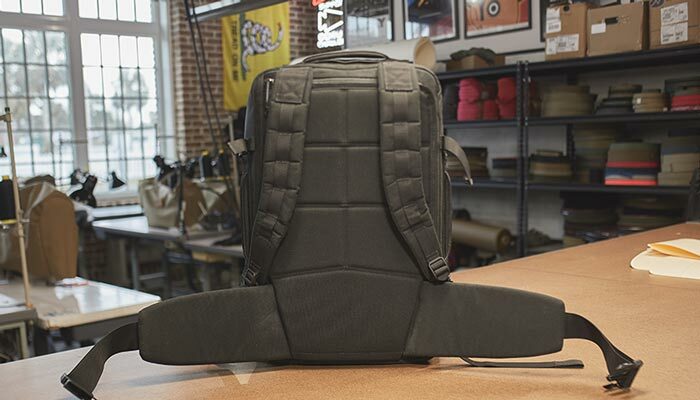 It integrates into the back panel and is easily removable for when you want to blend in to your environment. Easily stored on the interior. 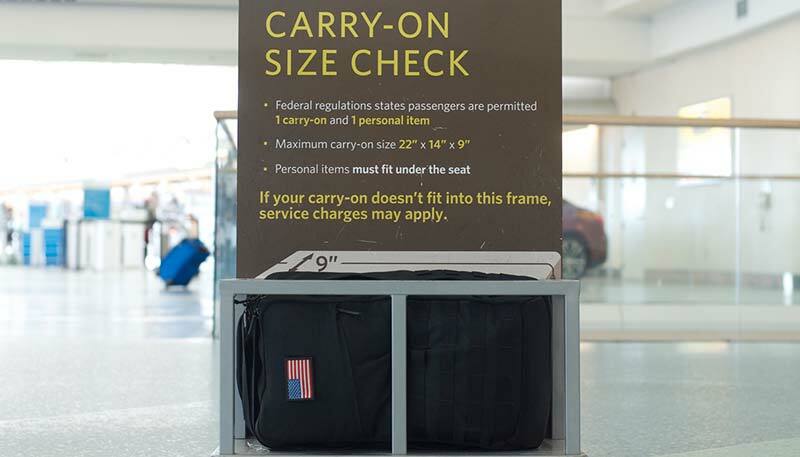 The largest possible carry-on size at 45L. 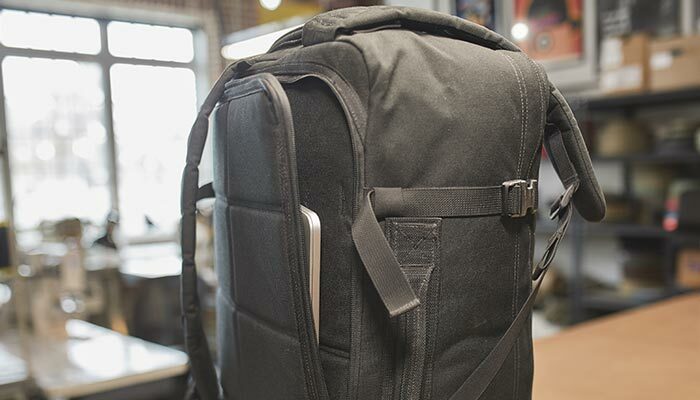 Pack everything you need and it still fits in the overhead compartment. 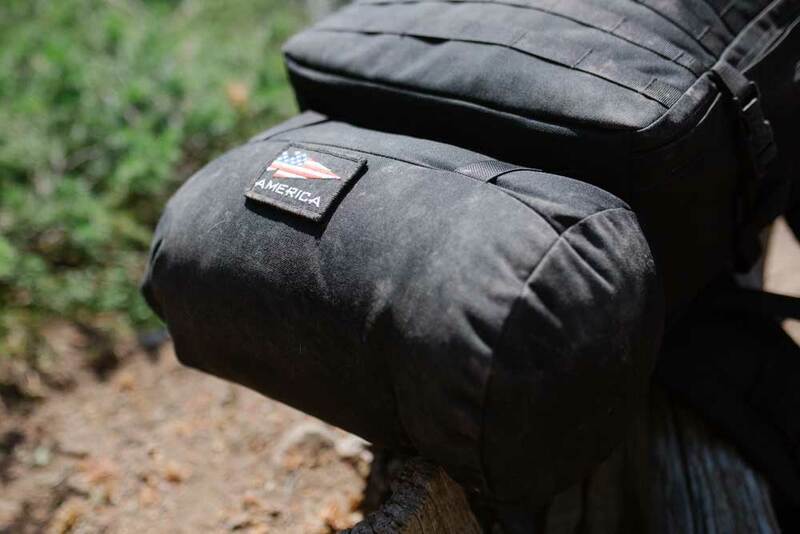 Built for GR3 Tough Bag built from heavy duty and nearly waterproof 1000D Cordura® so that your sleeping bag doesn’t end up all wet. 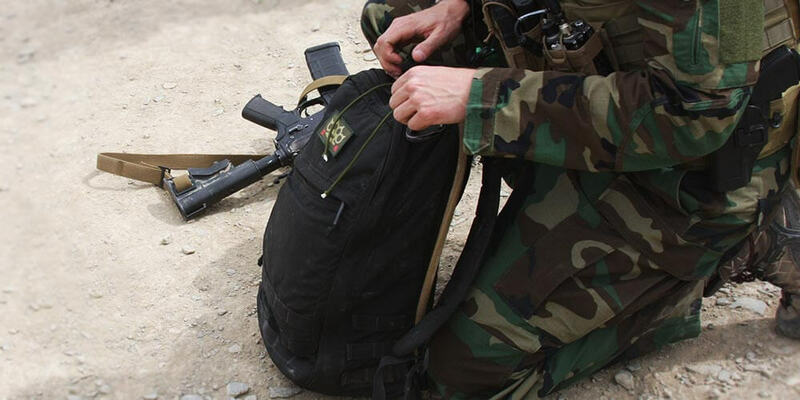 Allows you to pack the bag full then cinch the straps down and keep the ruck closer to your back. 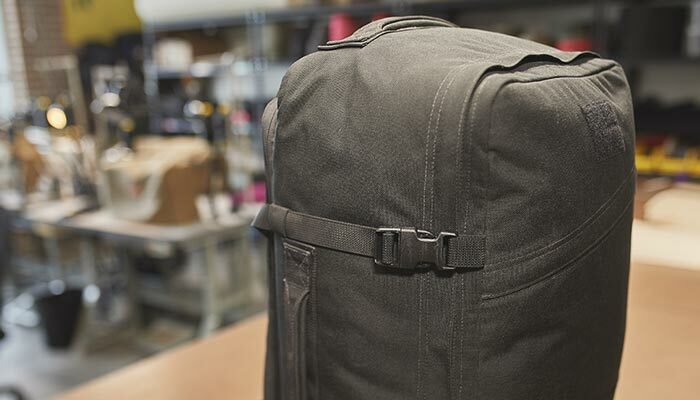 Helps you carry a heavier load more comfortably. 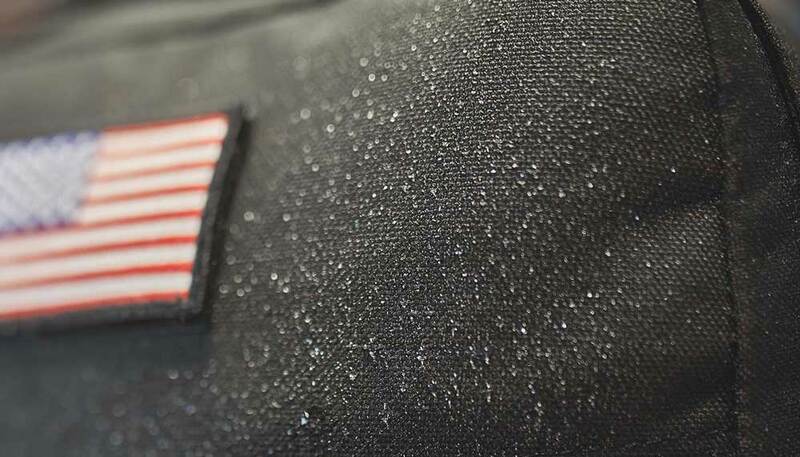 VELCRO back panel perfect for use with our VELCRO Field Pockets or customize with your patches. 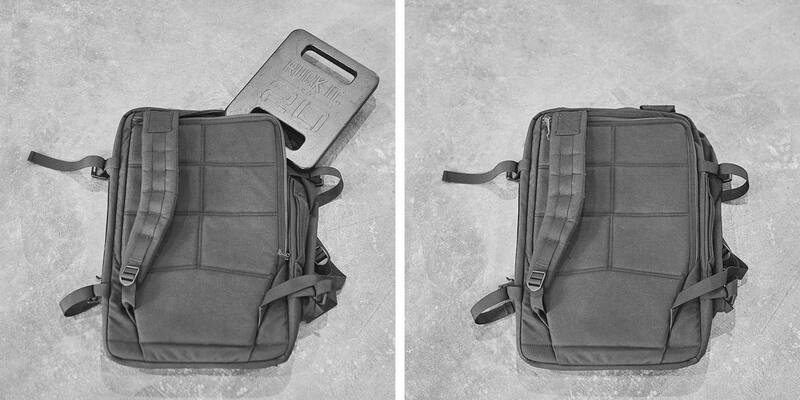 Interior D-ring so you can clip your hydration bladder with a carabiner and exit port for hydration bladder tube is found under the top handle of the ruck. Integrates with GR3 Tough Bag built from heavy duty and nearly waterproof 1000D Cordura®. 3 interior pockets & one exterior go-to zippered pocket. 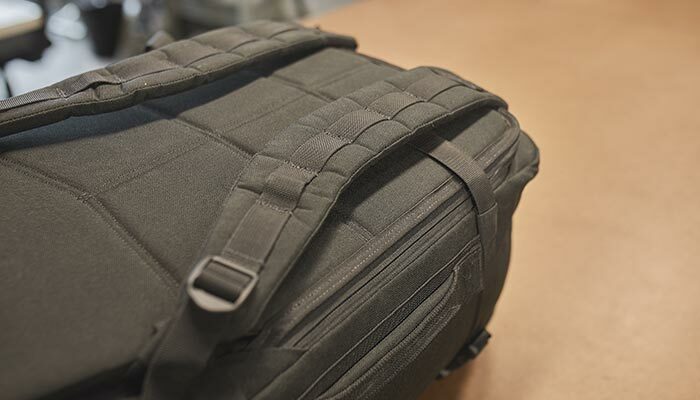 Allows you to pack the bag full then cinch the straps down and keep the ruck closer to your back. Hip belt helps spread the load across your hips, integrates into the back panel & is easily removable. 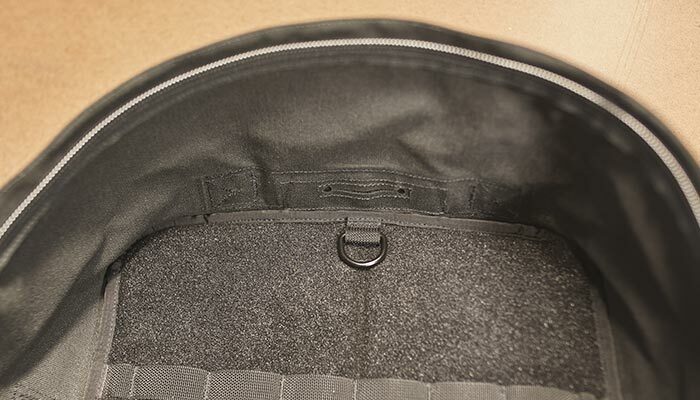 Interior D-ring so you can clip your hydration bladder with a carabiner and exit port for hydration bladder tube. 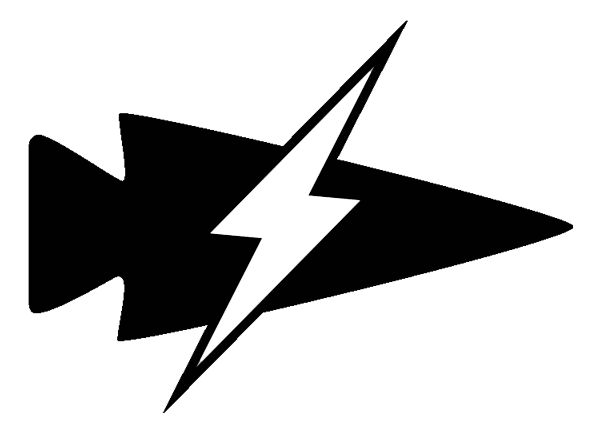 High stress points are strength tested at over 400 lbs. GR3® is capable of holding more weight than any human should ruck with. 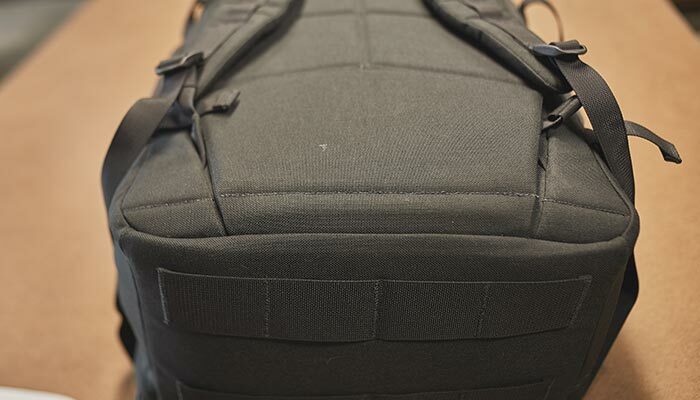 The Compression Tough Bag attaches to bottom MOLLE (standard on all GR3® models) via built-in cinch compression straps. It is ideal for attaching sleeping bags or dirty clothes and shoes. And it won’t rip or break like “outdoor” bags. 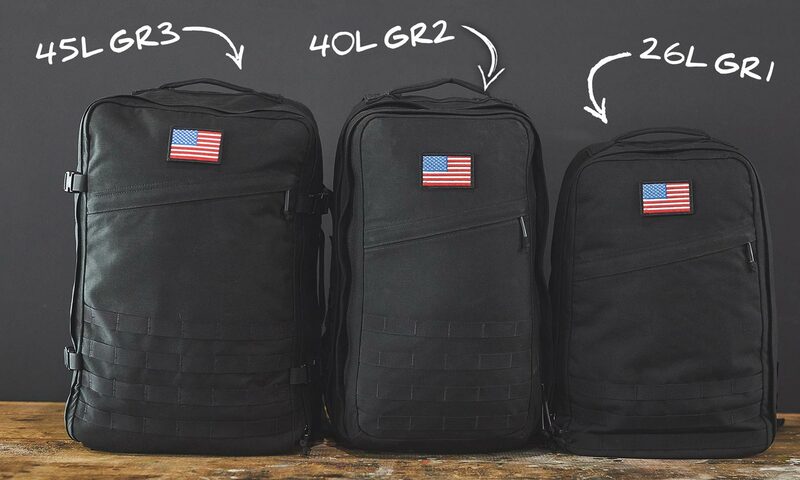 45L GR3® is the largest possible carry-on ruck - and has a removable yet integrated padded hip belt. Short trips = no hip belt. Long journeys with big loads, maybe even climbing a mountain = you’ll be glad you have the option. 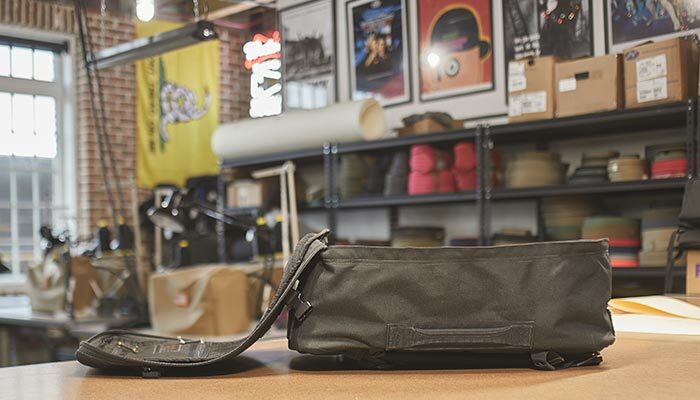 GR2® travels great and forces organization via 6 internal pockets, GR3® has one main large compartment (with 3 pockets) and works better for larger items like shoes and boots, and hiking equipment. 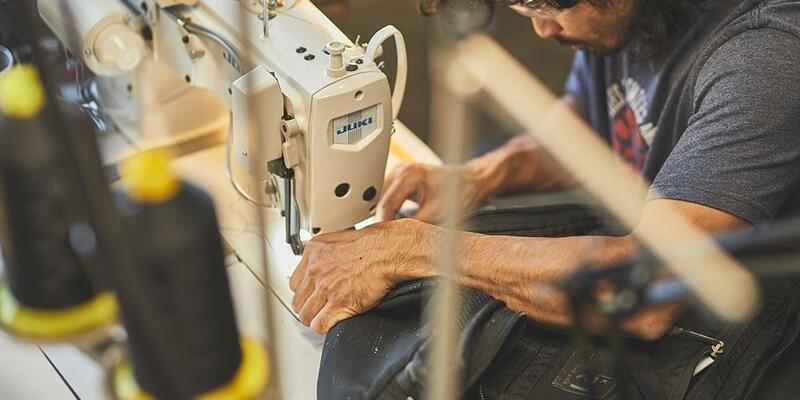 GR1® is an ideal dayruck, not really in the same category but shown for sizing because it’s our original rucksack. 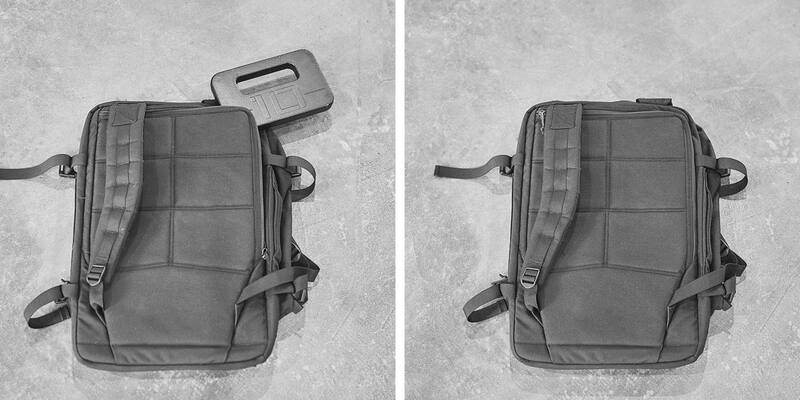 All 3 have bombproof laptop compartments and come with our Scars Lifetime Guarantee. 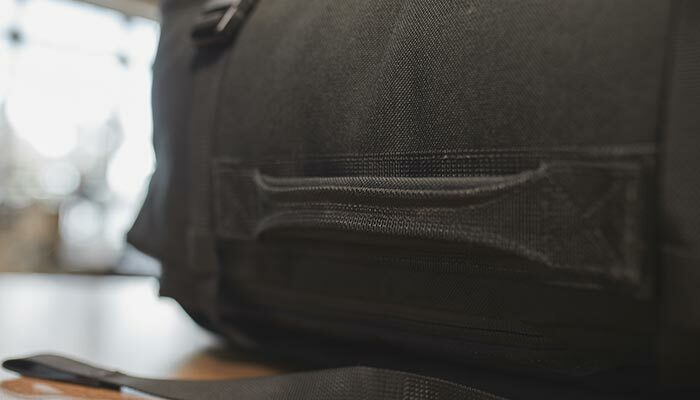 The 45L GR3® navigates the airports, cobblestone roads, and trails you take to get to the city center, the mountaintop, or both.